“Truly amazing, what people can get used to, as long as there are a few compensations.” This is not an unguarded soundbite from any of the interviews conducted this week by a variety of men in ties talking about why a group of those same men made a decision about the future of women, but a quote from Margaret Atwood’s “The Handmaid’s Tale”. This is not an unguarded soundbite from any of the interviews conducted this week by a variety of men in ties talking about why a group of those same men made a decision about the future of women, but a quote from Margaret Atwood’s “The Handmaid’s Tale”. Set in a dystopian future where women are holy and revered but enslaved with only corporal and capital punishments to look forward to, a recent television adaptation has taken the world by storm. Why? Because when you watch it, you realise quite how close we are to the terrifying pseudo-religious patriarchy of Gilead. 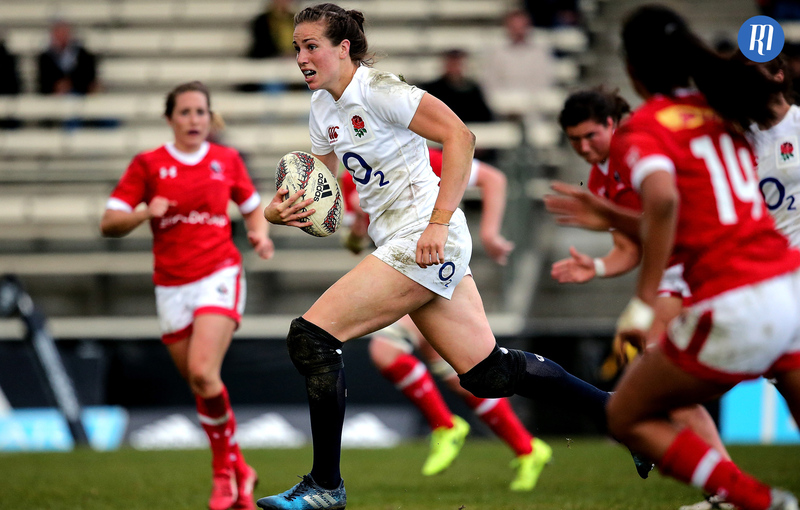 The RFU have decided that the funding that provided full-time contracts for the Red Roses would be better served going towards the Women’s Sevens ‘project’. 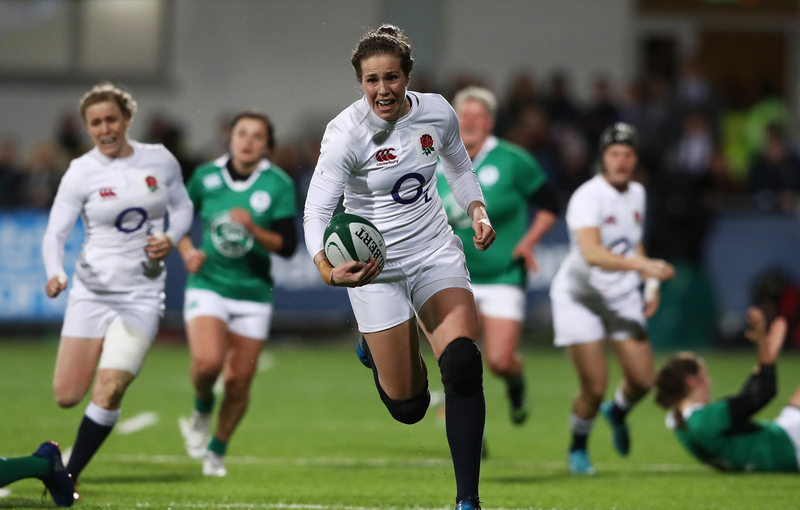 There has been “full consultation” and there will be, in the words of Nigel Melville, “a number of centres of excellence” set up for the Women’s game. I don’t know what “centres of excellence” but I would be very surprised if they are in any way excellent. They might not even prove to be centres. Let’s not pretend that for the RFU this is anything other than a business decision. The RFU have looked at how much money they spent on these contracts, then looked at how much money is coming in from the Women’s game and suffered a deep and rapidly increasing nausea as they contemplate quite how much money it costs them. I would very surprised if there was any business sense in keeping the contracts. Nigel Melville said that he had asked of himself "How can we move the women’s and the girls’ game forward? How can we have a strategy that means we can have sustainable success year on year on year?" I don’t know how to run a business, nor do I know how to manage a national sport. I would, however, suggest that in order to “move the game forward” one ought not to go back in time – and in order to "have sustainable success" one ought to create an environment built on aspiration and professional endeavour. We have more money than any other nation so of course we are spending more. No one is talking about the wider women’s game – just these contracts. I personally wouldn’t mind putting a few quid in a box every time I visited Twickenham if it meant our most successful national team actually got paid properly. The haunting disconnection that has insidiously invaded all walks of life seems to have seeped into a governing body that has always struggled to completely pacify its grassroots - the RFU has misjudged this hugely. No player, fan or club member will turn around and complain if this is money that the RFU cannot recuperate. No player, fan or club member can really see the justification in England’s male stars getting up to £22,000 a game and the women getting £18,000 a year taken away from them. Melville suggests that the success of the financial venture can be measured in some non-specific "sustainability" issue. Nigel – it doesn’t need to be individually sustainable. Why on earth is there this idea that there is a small pot of money reserved for the Red Roses that can only go to either 15s or 7s? Why can’t revenue from the grossly corpulent Double Header or any one of the hugely expensive Six Nations games go to the women’s contracts? This isn’t about sustainability for the girls that turn up to training on a Sunday morning and get put on the back pitch despite having an important league game when the U14 boys only have training. This is about equality and being on the right side of history. In Gilead, Atwood’s North America, the regime change is heralded by women having their contracts of employment terminated. Women are told that they are precious, and important, but that means that men have to make some tough decisions on their behalf. I wonder how many women were involved in making this decision. "I thought we were moving forwards but unfortunately it looks like 8 year-old Lizzie’s dream of playing professional rugby still isn’t possible after 13 years. Little boys don’t need to worry about that dream not being plausible." The horror of this strong, albeit raw and hurt, argument is that it is completely true. 13 years ago the inquiry into the death of Dr David Kelly released its results, the Olympics were held in Athens and George Bush won a second term in office. It was a long time ago. But my sister, who has in that time played for two clubs, Middlesex, Thames Valley and is now president and scrum-half of Grand Valley State University and no closer to being paid to play international rugby. We cannot moan about this for a few weeks and then settle. This is a regressive, immoral move. There is no sense in it, there is not dignity, and there is no justification. Business models, sustainability and "centres of excellence" be damned. Money is, as so many Austen characters will testify, such an ugly and distasteful subject – so let us not make it a subject. The RFU has enough of it. The tale of the Red Rose may not be as clearly woeful as that of the handmaid. It may not be as bloody or as vicious. But it is every bit as humiliating, and every bit as galling. It is also every bit as deeply rooted in hundreds of years of men making decisions, taking opportunities and removing options for women. We cannot allow this to happen in our world, in our time. The future, should it not descend in the darkness gathering, will not forgive us.